All scouts set-up at the corner of Mantua Avenue (NOT Mantua Blvd) and Marion Avenue in Wenonah. 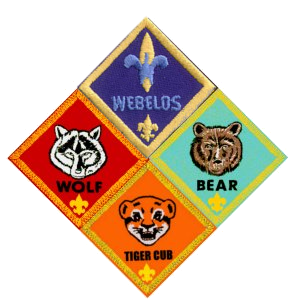 Cub Scouts should meet at the set-up area at 8:30am. The parade starts at 8:45am. Class A uniform is required. The parade stops at the Wenonah and Mantua Cemeteries for services and ends at the Mantua Municipal Building. Parents can drop off at the parade start and move their car to the end (or near the end) of the parade to meet their scout. A water bottle is recommended.. this parade always seems to be a hot one. Head down Elm to Main and turn south to the Mantua Municipal Bldg. Final service at the Municipal Bldg.